Peninsula Tree Services are a specialist tree service company, dedicated to the welfare and safety of the trees in our environment. Felling, removal, sectional dismantling, formative pruning, crown cleaning / lifting / reduction, pollarding / copicing, 24hr emergency works, hedge maintenance and planting, as well as advice on Tree Preservation Orders and completion of forms for tree works in Conservation Areas. We are happy to provide free advice and quotations for any work that you may require. We operate mostly on the Shotley peninsula (hence the name! ), and are based in Chelmondiston. All of our Tree Surgeons are qualified to National Proficiency Test Council (NPTC) standards and hold current accreditations in a variety of tree related subjects, and have many years of practical experience behind them. Our work is undertaken to the guidelines set out in British Standard BS3998:2010 - 'British Standard Recommendations for Tree Work', and we are fully insured with £2,000,000 public liability cover. 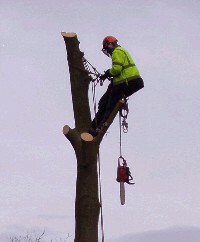 There are occasions when complete tree removal is required. This is very much a last resort, but sometimes due to the condition of a tree and the likelyhood of danger to persons or property it must be done. If a tree has simply outgrown the space in which it sits, then a Crown Reduction is the way to reduce the overall size of the tree's canopy. By carefully selecting a location just above strong limbs, the remainder of the branch is removed, thereby leaving the remaining branches to form the new outline to the canopy. Telephone 01473 780857 (eve) or 07777 647 152 (mobile). 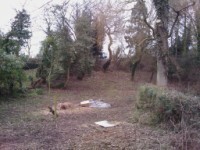 We are happy to complete partial or entire garden clearances, removing / trimming not only Trees, but any other bushes / shrubs that have got out of hand, or are simply in the wrong place.